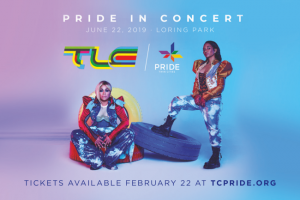 Come on out to Loring Park for Pride in Concert featuring TLC! Click here for more information. Loring Park Family Fun Night is a family focused event held just blocks from the CenterPoint Energy Torchlight Parade. Activities & Booths include: Free Wilderness Inquiry Voyageur Canoe Rides, free tennis lessons with USTA, food trucks and many more family-friendly activities to be announced soon. Find your seat for the parade and bring the family down for some fun! Learn more about Citizens for a Loring Park Community, and follow them on Facebook. Free voyageur canoeing and paddling instruction open to people of all abilities, including people with disabilities. Experienced Wilderness Inquiry guides will provide all equipment needed, ensuring a safe and fun experience for all. Click Here for more information on Wilderness Inquiry Voyageur Canoe Rides.